First aired in 1996 as BET Jazz — a spin-off of the popular Black Entertainment Television (BET) channel focusing on jazz and later on general music — Centric, as it was renamed in 2009 while shifting its content to a general-interest adult African-American network, is now fully dedicated as “The First Network Designed for Black Women”. 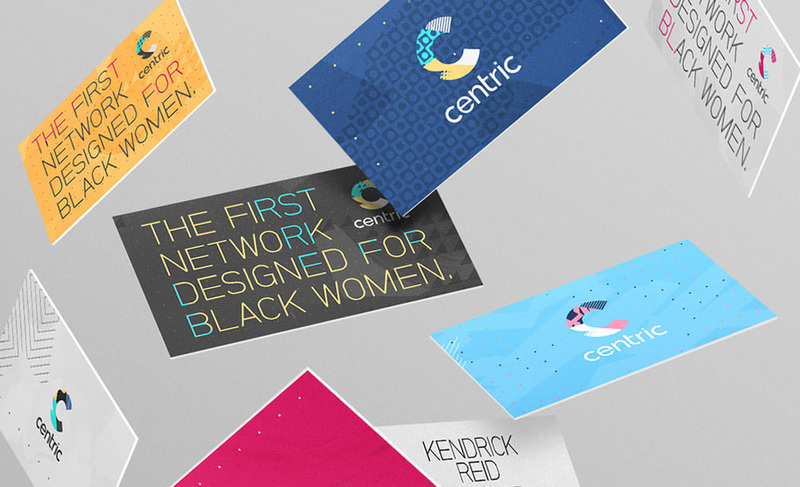 In November of last year, Centric introduced a new identity and on-air look designed by New York, NY-based Gretel. The goal from the start was to create a brand with modernity, style and attitude. Our solution was to create a densely layered brand. One that felt expressive, but thoroughly modern. The new logo is the heart of this brand. It embodies complexity and variation in both its form and fill. The logo is ever changing, it can take on a range of styles and reflect an array of personalities. The previous logo was very Soul Train-ish which, given the channel’s musical provenance, made sense but visually it was a little drab. The new logo kicks off the dance party that’s about to happen in your eyes with a patchwork “C” and standalone wordmark full of textures, working surprisingly well in single color and, obviously, exploding in full color. I can’t pinpoint what it is that makes this so appropriate for the audience but I do know it wouldn’t work for a channel for white men. 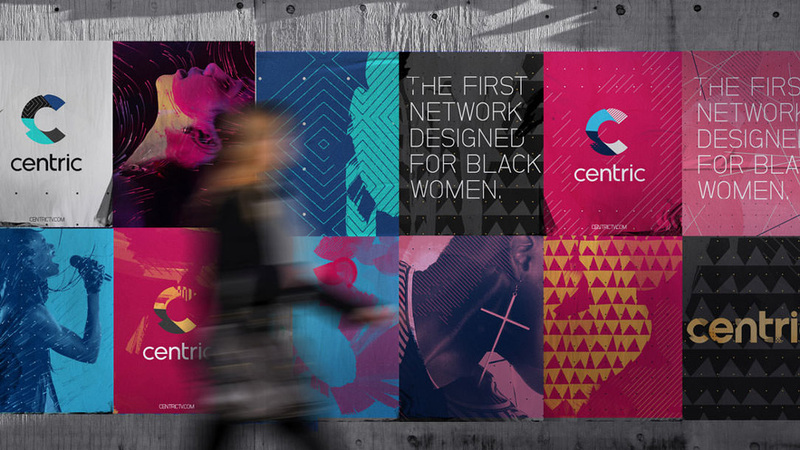 The colors and textures have a bold energy and the logo (or the rest of the work below) never fall into typical visual cues of channels targeted at women. Because our goal was to create an expressive brand, we knew we couldn’t rely on a modular system without considerable range. We needed an extensive library of elements that, when layered upon one another, offer eclectic variation. While the creative combinations are endless, they result from a consistent formula: Photo + Color + Texture + Pattern + Type. By mixing, remixing and changing the proportions of our brand ingredients, we can always come up with new and exciting results without deviating from the brand. The on-air look is unapologetically complex and dense and the only modus operandi it works on is overdrive. And it’s downright awesome. The multiple layering, pacing, colors, and motion behaviors are extreme and fast-paced. Perhaps for some it might just be too much — and it would be a very justifiable opinion — but to me this is really fantastic, a respite from the flat minimalist approach of most on-air looks recently. (Which I also like and appreciate, but this visually gluttonous approach shows that sometimes more is more interesting). I highly recommend seeing the project page on Gretel’s website as it breaks down all the on-air ingredients and has more images and animated GIFs than I can accommodate here. Cool thing that says MUSIC. In print, the identity is able to translate the restrained frenetic energy of the motion pieces with heavily layered layouts and ever-changing logos that convey its dynamic nature. It also looks as if everything is set up using C, M, Y, and K, making it easy to overlay and/or separate colors and get fully vibrant hues every time. Overall, this is one of my favorite TV branding projects in some time. It’s very ambitious in its foundation — from photographing models to capturing textures and patterns in motion — while the result is visually gratifying and very much a distinct proposition for the audience. This is definitely no Lifetime or even Oxygen. 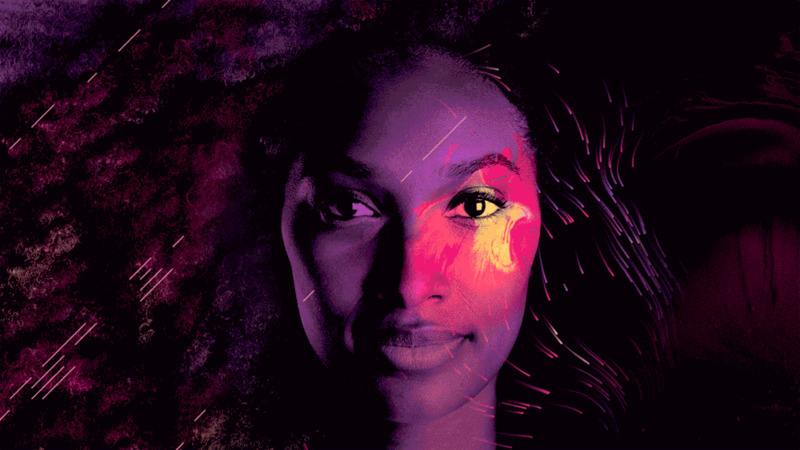 First aired in 1996 as BET Jazz — a spin-off of the popular Black Entertainment Television (BET) channel focusing on jazz and later on general music — Centric, as it was renamed in 2009 while shifting its content to a general-interest adult African-American network, is now fully dedicated as \"The First Network Designed for Black Women\". 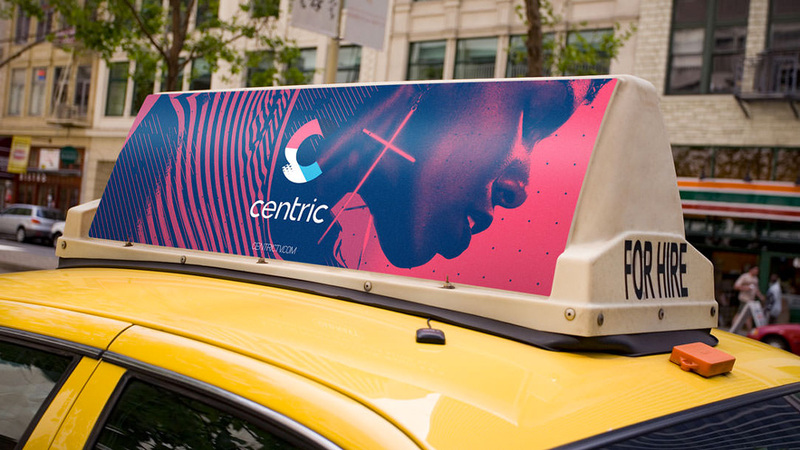 In November of last year, Centric introduced a new identity and on-air look designed by New York, NY-based Gretel.